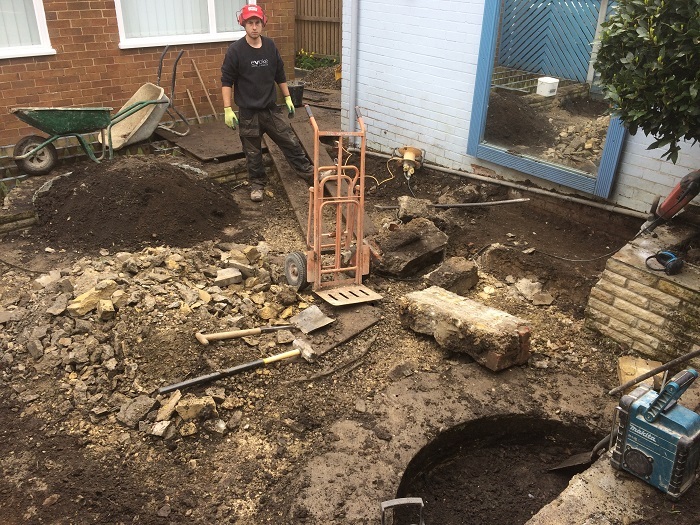 Designed and built through June this year we transformed a little back garden in Leeds. 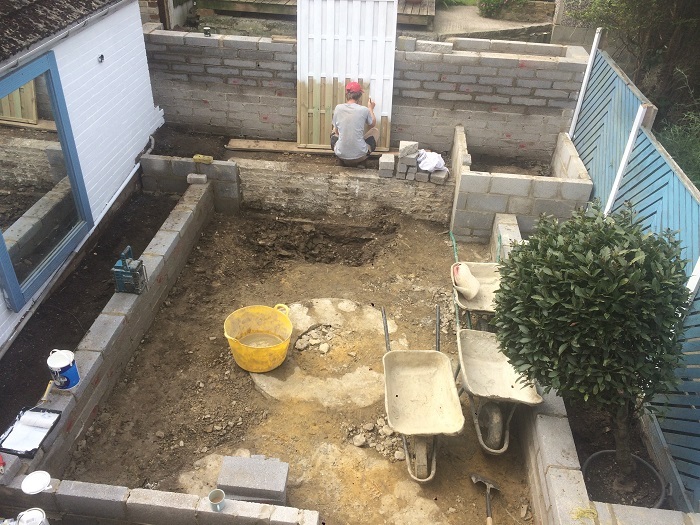 The client had originally built the garden herself 15 years ago but felt it was time to renew and update the space. 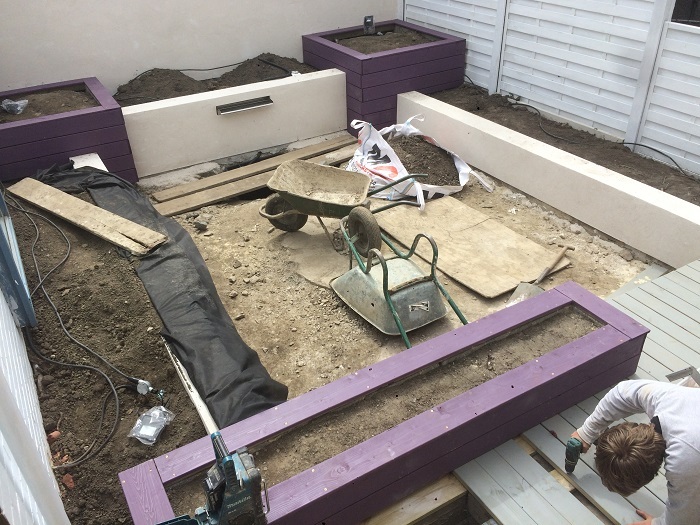 With a request for sharp lines, a clean layout with a courtyard feel, raised planters and a modern water feature we began dismantling the plot. 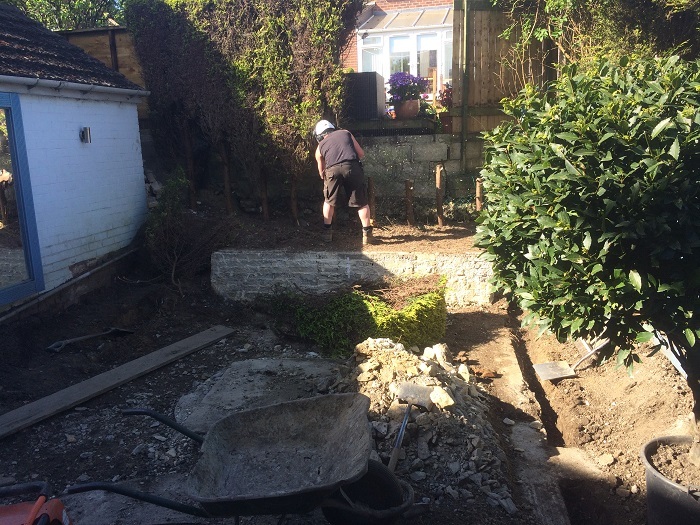 Removing the browned conifer hedge and breaking down the walls was a bigger challenge than expected. Even the small jobs require a unprecedented volume of work! 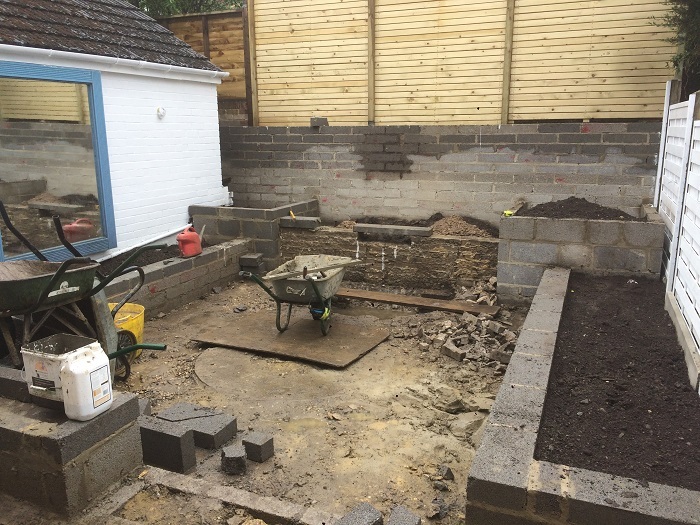 The client had previously gone to town with all foundations and concreting originally put in. 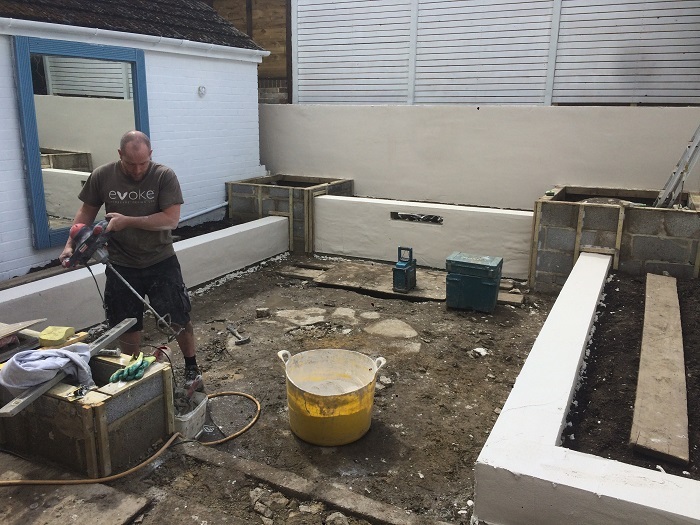 Having salvaged soil and plants we reshaped the garden with over 400 concrete blocks, creating retaining walls and raised planters. 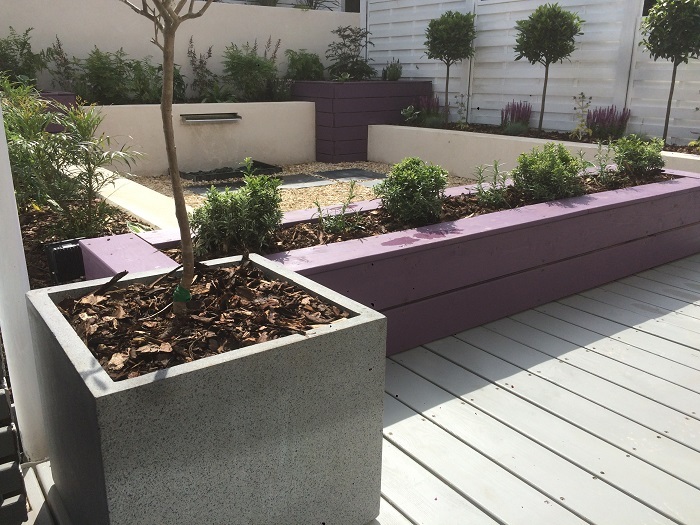 Using a smooth timber cladding and a K-Rend mix for the fence and walls, along with a range of urban external paints the space felt lighter and bigger than before. 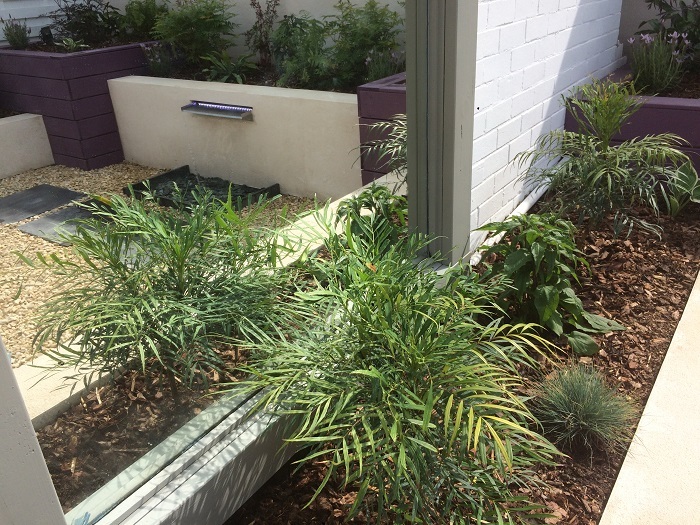 A combination of York Cream gravel, a slate pavoir, along with feature mirror and water blade give the garden a fresh appeal. A lighting scheme installed by Jamie Williams and Angelica Slobodzian delivered a welcomed splash of magic in the evening. 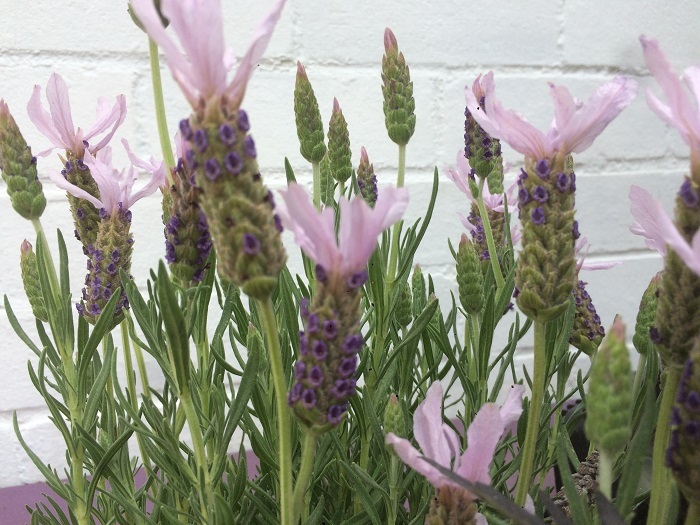 A lush and green planting scheme which included Eryngium ‘Neptunes Gold’, Lavandula ‘Lusi Pink’, Salvia ‘Icterina’, Mahonia ‘Soft Caress’ Garrya elliptica, Phormium ‘Platts Black’, 3 Laurus nobilis Crown and a whole lot more complemented and soften the hard landscaping throughout. 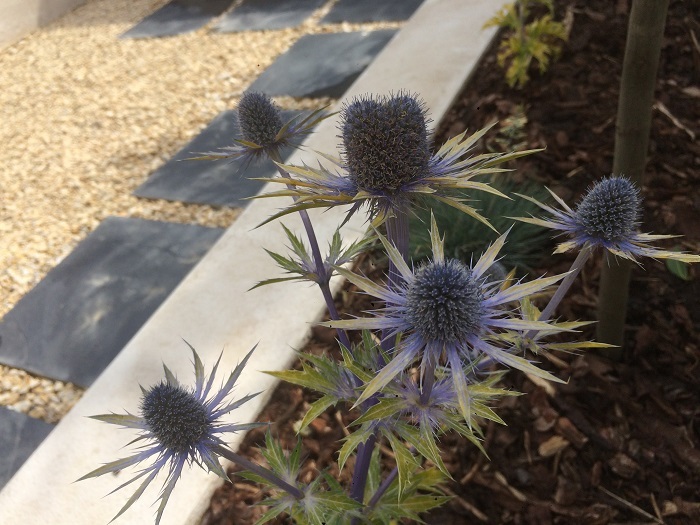 Another happy customer with a proud city garden to enjoy. A huge thanks to Kristan and Joel for all the labouring and back ache delivered throughout. 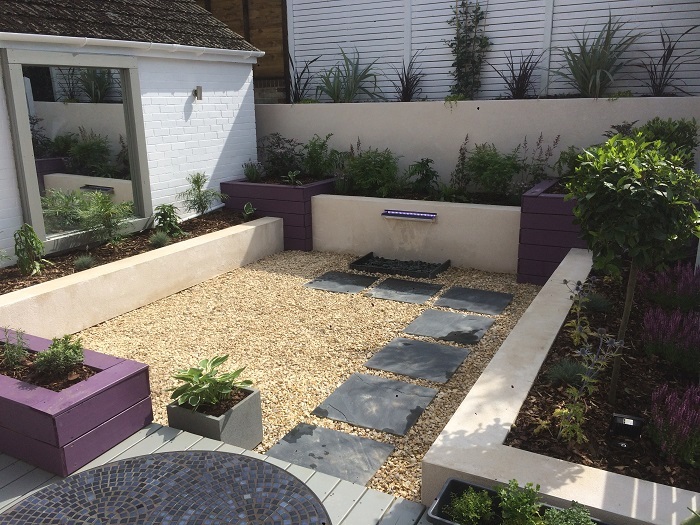 Who would think such a little garden could have it all; herbs, seating, modern pots and bold design created another high spec job from Evoke. Cheers Jean.